No matter the project, unrivaled customer service is what we do. What kind of distributor would we be if we couldn’t get you the equipment you need to use our products?! 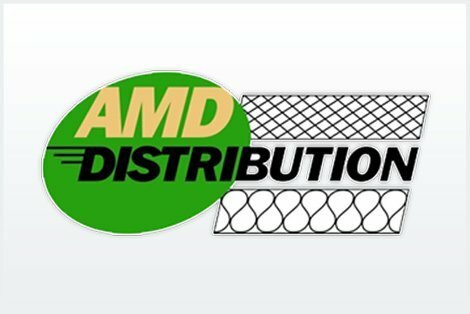 AMD Distribution works closely with the equipment manufacturers to ensure the right equipment to fit your production needs. 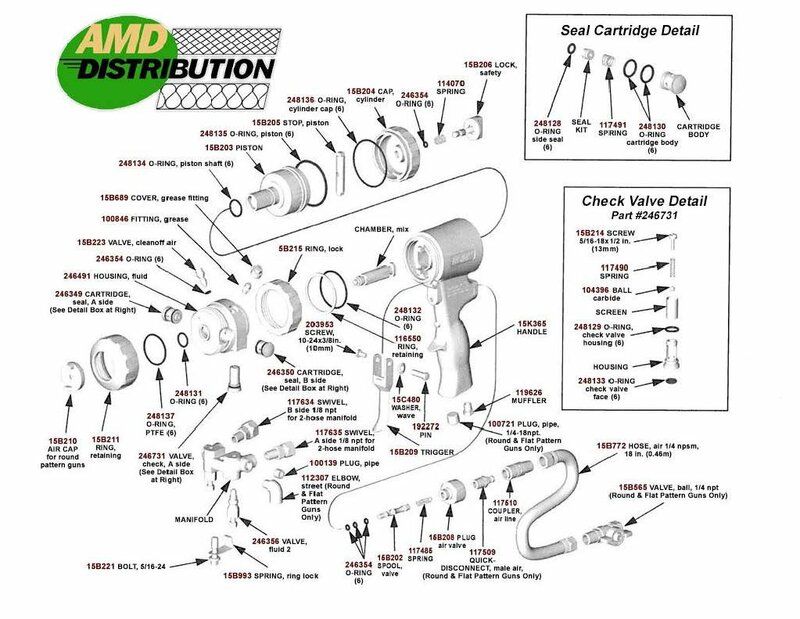 Whether you’re just starting up, need to add more to your fleet or just need some parts we are the resource you’ve been looking for. 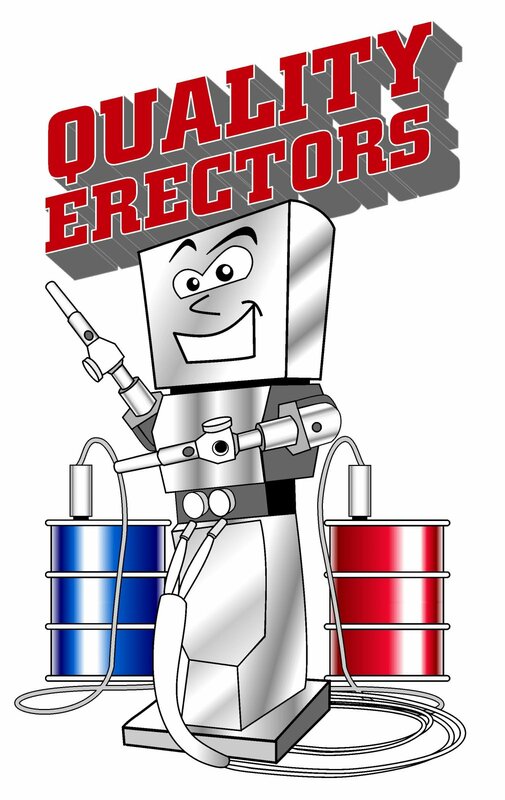 Quality Erectors was recently founded in 2015 to create high quality custom spray foam trailers. 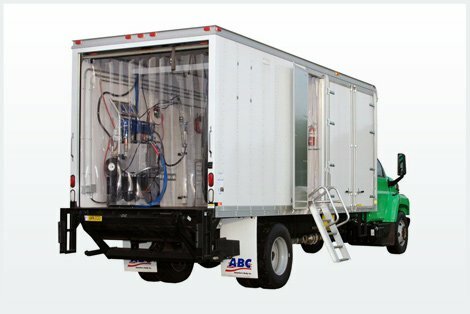 After being involved in the insulation industry and seeing a need for high quality spray foam trailers and other equipment we began making custom trailers and repair work on equipment. CertainTeed Machine Works creates customized rigs for the application of spray polyurethane foam (SPF) insulation. Using proportioners and transfer pumps from industry-leader Graco® and other components from a number of top-notch manufacturers, we build complete spray foam systems to meet your specific requirements. Contractors have commented on how neat and safe these rigs are compared to those available from other companies. 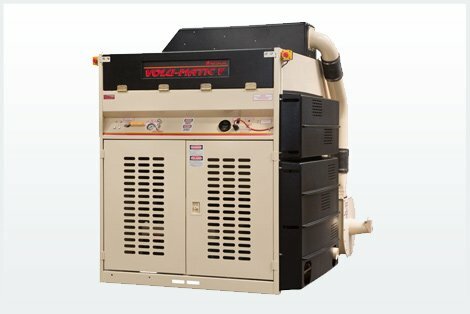 The Volu-Matic® SE is a new addition to the performance-proven Volu-Matic series of insulation application machines from CertainTeed Machine Works. A smaller footprint and lower weight make it an excellent choice for smaller box trucks and trailers, yet the SE delivers the same production rate as the larger Volu-Matic® III. It's the perfect machine for today's changing market. 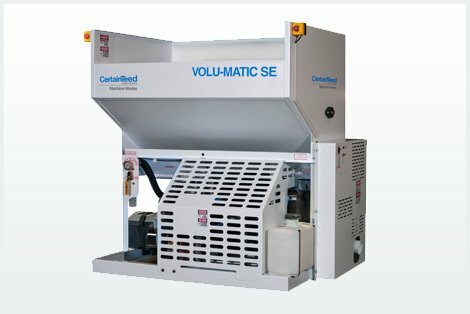 The Volu-Matic® MS is the latest addition to the CertainTeed Machine Works line of high performance insulation application machines. Professional contractors, distributors, lumber yards and rental centers will want this powerful, all purpose, mid-size machine. Portable and easy to use, the Volu-Matic® MS is perfect for weatherization work, small to medium size jobs, and additional capacity for larger structures. 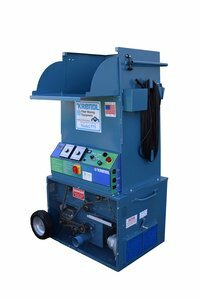 Step up to the self contained gasoline driven machine and eliminate power cords and on-site power requirements. The TrueComfort system comprises fiber glass blown-in insulation and the blowing machine used to install it. The machine is portable and simple to operate. Great for attic, sidewall, and other small jobs. Dealers can rent the machine to remodelers and do-it-yourselfers (DIYers). Sidewall accessory package optional. The Volu-Matic® III is an ideal machine for installation of attic, closed sidewall and netted cavity insulation. Professional contractors will enjoy the benefits of higher product delivery rates, less downtime and longer equipment life. The Volu-Matic® III features a rugged drive system with two oversized gearboxes and two heavy-duty electricclutches. The innovative air control system allows the operator to adjust the volume of air without decreasing thepressure capability. Electric motors are available for in-plant applications. 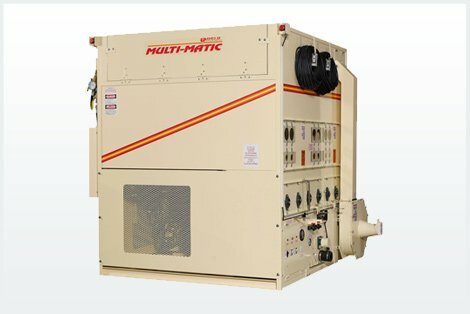 The Volu-Matic® III Electric is used by manufactured housing producers to install insulation in modular home components. The machine is also found in the research and quality control departments of major insulation manufacturers, where it is utilized to test the blowing performance of loose fill products. The Volu-Matic® V is a dual-purpose machine. 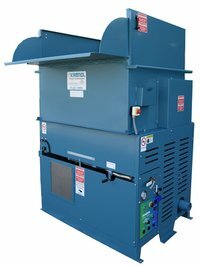 It has all the features and capabilities of the Volu-Matic® III and is designed to spray and recycle approved products into interior sidewalls. Our proprietary custom vacuum system returns excess insulation to the hopper for remix into the blend. It produces more vacuum and less air movement, resulting in less fiber fly in the hopper and truck. Since the vacuum system is part of the machine, no additional labor is required to set up on the job site. he revolutionary Multi-Matic™ wall spray system is specifically designed for cellulose sidewall spray and dense pack/cavity fill applications. The system includes a single machine that performs three separate functions and the Multi-Tank™ , a 250-gallon heated and insulated stainless steel water tank (sold separately). The Multi-Matic™ sprays cellulose insulation into the wall cavity, recovers excess material - using a vacuum system - and returns it to the holding hopper where it is metered into the flow with new insulation and sprayed into the next cavity. The Multi-Matic™ system will fill a standard 16-inch-wide by 8-foot-tall wall cavity in 20 seconds or less while still providing the yield recommended by the material manufacturer. Operation of the system requires a minimum of two individuals, but it's designed to optimize spraying efficiency while minimizing the time required to set up and take down the equipment. * lbs/hr (kg/hr) rating with 150 ft. (45.8 m.) of 3 " (7.6 cm.) hose at 16 ft. (4.8 m.) levation. The 575 will out perform and outlast the competition. The 575 is an economical machine for the professional contractor. Capable of blowing all types and brands of loosell insulation to the manufacturer’s specifications. 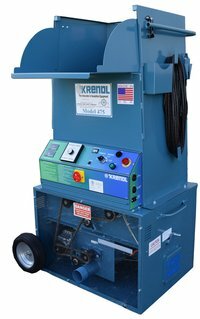 Krendl’s improved 4000-G-A design, now gives professional insulation contractors even more productivity on all types of insulation materials. Our low maintenance along with even more conditioning on hard to blow insulation materials, prevents bridging, while offering rugged performance. The 4000-G-A is intended to function as a truck mount machine for the professional contractor, with an 18 hp Briggs & Stratton V-Twin engine. 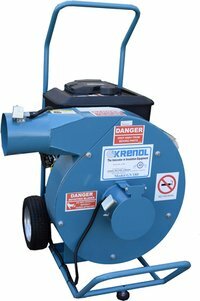 Capable of blowing all types and brands of loosefill insulation to the manufacturer’s specifications. The GV180 Gas Vacuum is designed with a steel fan and chamber, powered by a rugged 18 hp Briggs & Stratton V-Twin engine. This vacuum is intended for removing all types of blown insulation and for recycling damp spray. Extracts on Average: 233 bags per hr. The Vacuum Defender is recommended for restoration work, and has been designed for removing potentially damaging debris from the insulation before it comes in contact with the vacuum fan blades. This innovative design reduces the wear and tear on the vacuum fan blades, engine and the vacuum housing. The Vacuum Defender helps prolong the life of your vacuum. The DE4040 has output of 40kW with 40 CFM @ 120 psi. 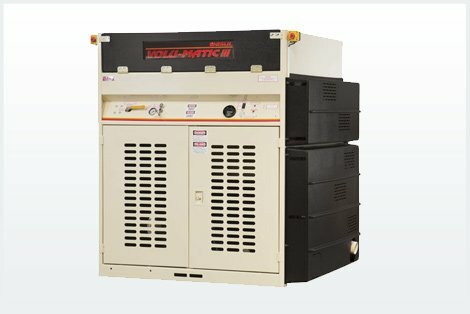 It is the only 40/40 generator/compressor unit specifically designed for trailer applications with a Cummins/Stamford generator end. This model features a rugged 10HP Rotorcomp rotary screw air compressor, Stamford generator, 54 gallon fuel tank, 2A battery charger, block heater, and a simplistic key start. This model is perfect for applications requiring an air compressor and a small footprint! 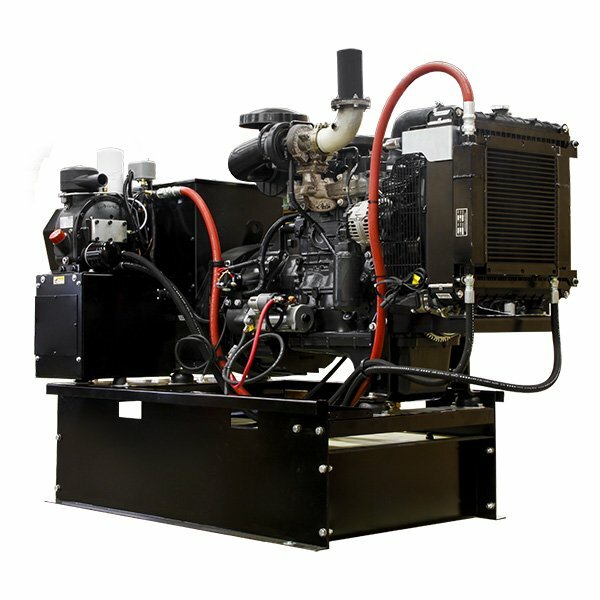 We are a dealer of Winco Generators and we can get any of the size generator that Winco carries. The DE45F4 is powered by the FPT N45 SM1 4.5 Liter Turbocharged diesel engine, producing 45 kW output. The DE45F4 is made to perform when you need it most. 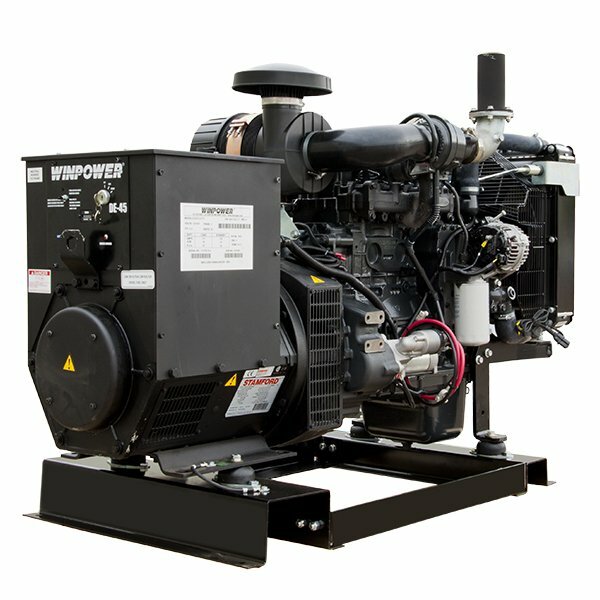 We are a dealer of Winco Generators and we can get any of the size generator that Winco carries. The primary use of the KBE5L for insulation installations is by heating the surface where you will be installing foam insulation, as well as the material itself, as the heat helps the foam expand to a greater degree, therein decreasing cost of goods, and increasing effectiveness. When installing traditional insulation, the KBE5L simply keeps the environment and personnel warm and cozy to do their job. Portable via the power inverter from your vehicle. Burning each: Kerosene, #1 and #2 diesel, bio-diesel (20%) cleanly and efficiently. So efficiently, in fact, that there is a 100% recovery of heat from the fuel burnt, as well as no smell, burning eyes, headaches, nausea, or carbon monoxide to fret about. 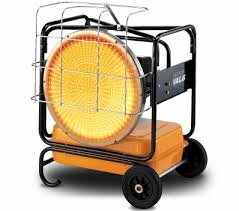 The VAL6 KBE5L is a radiant-only heater, meaning you won’t have a whirlwind of dust blowing around your workspace from it. It has the extra fuel-reclamation exhaust visor, a high/low switch for added control, and a fuel pre-heater built in. 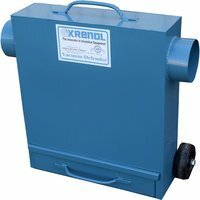 Throw in the 15 gallon tank, and the minimal 0.75 gal/hr intake on low, and 0.9 gal/hr on high, makes the KBE5L the most popular model to date. Can be used on 3M(TM) Low Pressure Compressed Air Systems. It has a 1/2 inch inner diameter and is equipped with MPT's on both ends to accept 3/8 inch FPT fittings. This hose can only be used in single lengths. Hoses cannot be combined. 4’ x 6’ waste removal bag with an 11” collar capable of holding up to 75 cubic feet of waste/debris. Solvent effective for cleaning spray foam guns. Is an environmentally sensible, non-HAPs solvent based cleaner designed to dissolve: and flush part A & B isocyanates polyurethane foam, flexible and rigid elastomer and molded polyurethane foam. Effective for both MDI and TDI esters as well as cured reactive hot melt polyurethane adhesives, and other industrial adhesives. It also removes mixtures of Fiberglass and Polyester Resin, Vinylester and Epoxy Resins. Isocyanates Resin Cleaner is an environmentally safe, non-HAPs, no ODC’s non-flammable. Low emission organic solvent – based multipurpose industrial resin remover. 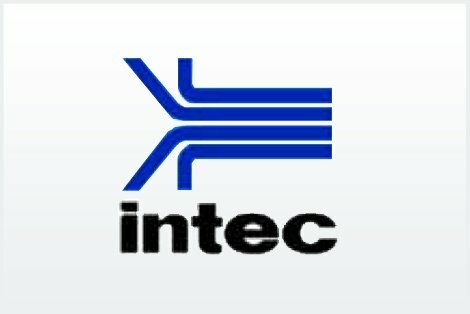 It is highly effective in both flushing and immersion cleaning of single component Isocyanates (part A) and Uncured Reactive Hot Melt Polyurethane Adhesives, Uncured Resins (Epoxy, Polyester, Vinlester, Polyurethane); Adhesives; Pigmented Gel Coats and other coatings including High & Low Solid Aliphatic, Waterborne Epoxy Primers, Polyurethane, Acrylic, Varnish and Alkyl Enamel. Use this product full strength at room temperature only in an immersion tank application with low agitation or flushing of hoses in a well-ventilated area. 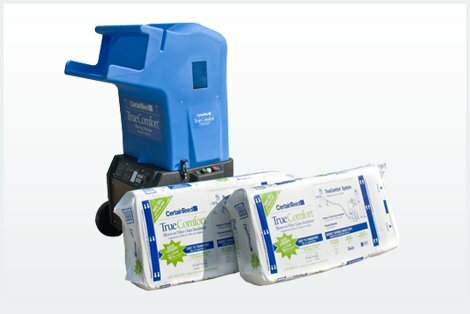 If the product is flushed through spray guns, it is imperative to have an adequate exhausted system in place.